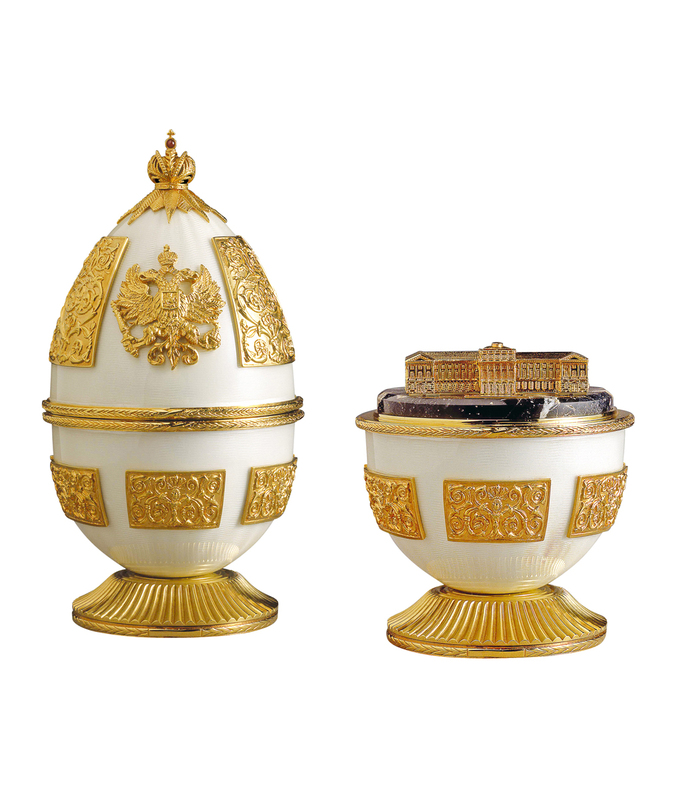 Theo created the Mariinsky Egg to celebrate the 250th Anniversary of the building of the Mariinsky Palace, and the 10th Anniversary of its function as democratic seat of the St Petersburg Legislative Assembly. 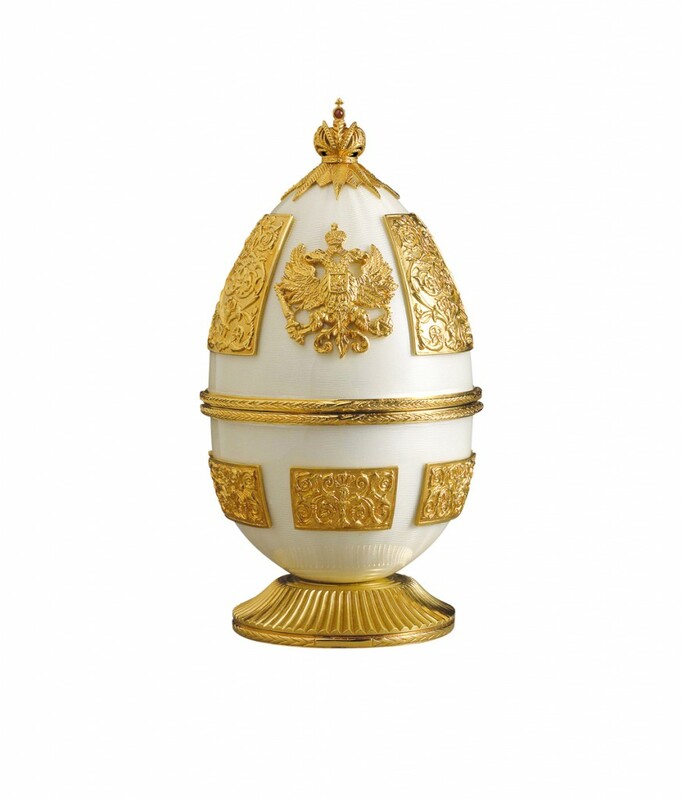 Presented in pristine white enamel, on a shell of guilloché sterling silver and gold, the top bears a representation of the panels from the interior dome. 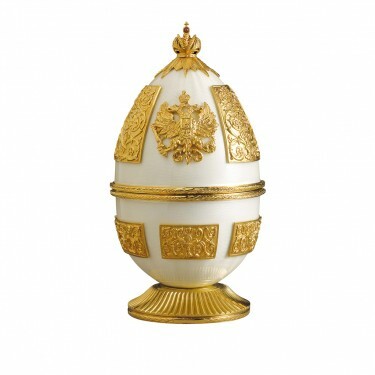 The Russian Imperial eagle, its two heads gazing to west and east, is positioned in vermeil at the front. To the rear, the coat-of-arms of St Petersburg. 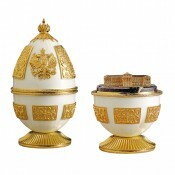 Theo surmounts the Egg with the Russian Imperial Crown, also in vermeil and set with a cabochon ruby. The foot is ornamentally turned on Theo's Holtzapffel lathe dating from 1861. On opening the Egg, the surprise within; in exquisite miniature, a model of the Palace as first built. Etched in 24-carat gold on silver and bearing the traditional British hallmark, a detailed floor plan illustrates the extensions of the past two-and-a-half centuries.